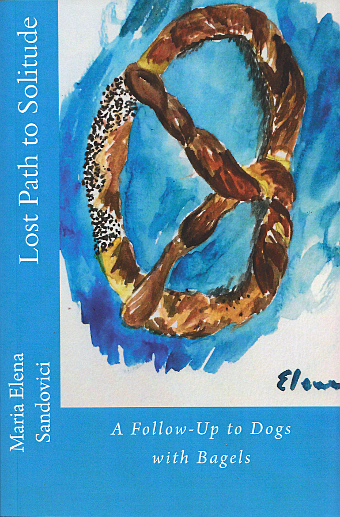 Saturday, August 27th, 2016, 3:00-5:00 p.m.
Maria Elena Sandovici joins us again Saturday with her latest novel. Once you leave home, can you ever return? In the summer of 1989, Maria Pop reluctantly followed her husband, Victor to New York. She went because she loved him, but she always longed for the life she left behind in Romania. Twenty-five years later, she finds that her native country is experiencing a rebirth and she wants to be a part of it. Meanwhile, Maria’s daughter Liliana is floundering in Solitude, Texas. Her career, her relationships, and her seemingly permanent outsider status leave her constantly craving an escape. Her restlessness eventually takes her home to New York, where she finds herself embroiled in family politics and the tension of her parents’ strained marriage. Maria Elena Sandovici was born in Bucharest, a city she loves, and can never stay away from too long. In the pursuit of international adventures, she left Romania to attend college, then graduate school, in the United States. “Lost Path to Solitude” revisits the characters introduced in her first novel, “Dogs with Bagels.” In addition to writing novels, Ms. Sandovici is a prolific watercolorist and author of the blog havewatercolorswilltravel.blogspot.com.